The offshore helicopter support industry has been treading water since world oil prices collapsed in 2014. 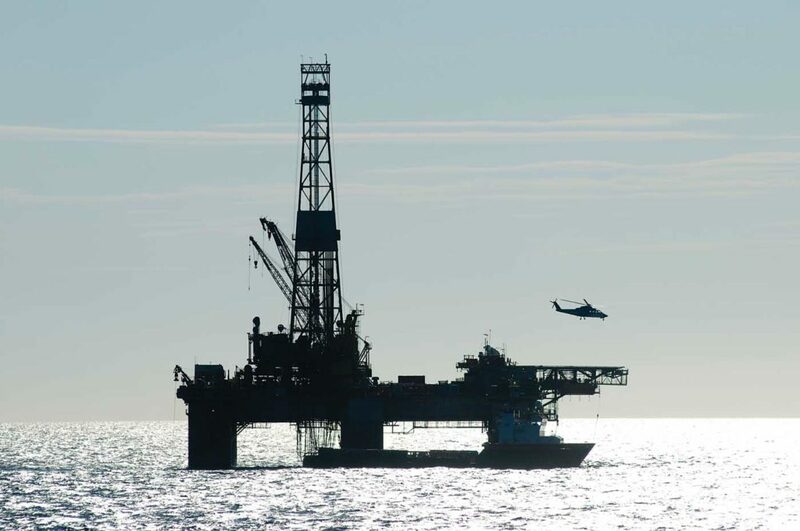 For the past five years, helicopter operators have taken a beating as offshore oil-and-gas companies reduced exploration drilling, deferred production developments, extended crew rotations, consolidated flights, closed support bases, cut helicopters on hire, and retendered contracts to reduce monthly helicopter rates. 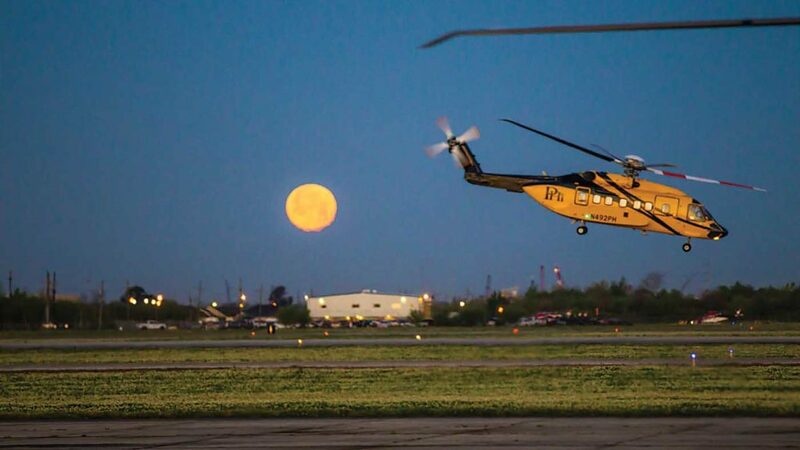 Helicopters have been supporting the offshore oil-and-gas industry since 1947, when Bell 47s transported exploration crews in the wetlands of southern Louisiana and later offshore. Since then, operators have weathered many boom and bust business cycles in the oil industry that have left lots of aircraft without work, but this time the downturn has cut a lot deeper. In the early 2000s, the helicopter industry made a major investment in new technology helicopters that had the payload, range, speed, safety features, and economics required to support deepwater exploration and development much further offshore. The Airbus EC225 (now known as the H225), Sikorsky S-92 and Leonardo AW139 entered offshore service in 2004 and 2005; and they were joined by the super medium Leonardo AW189 and Airbus H175 in 2014. When oil prices collapsed, the oil companies reduced exploration and development activity — and the number of offshore workers and helidecks requiring service steadily declined. 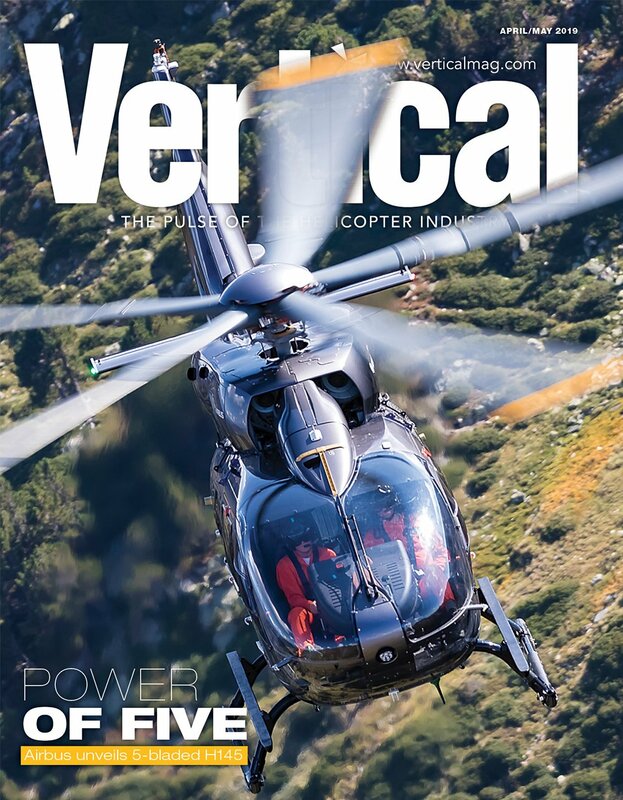 The most turbulent week in the offshore market’s history began on April 29, 2016, with the fatal crash of an H225 in Norway, and the subsequent temporary worldwide grounding of the fleet. On May 5, 2016, rising debt forced CHC to enter Chapter 11 restructuring. 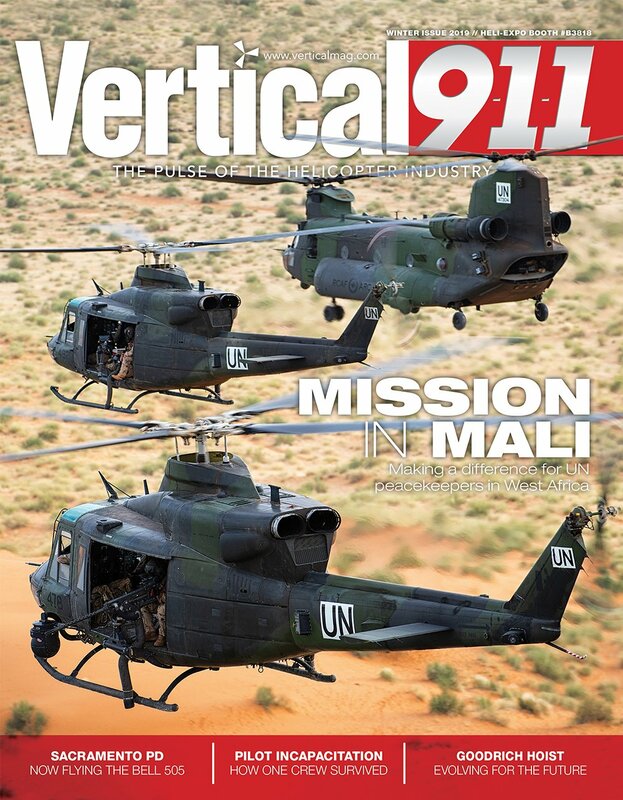 Ten months later, the operator emerged from Chapter 11 after restructuring its debt and dumping almost 100 helicopters (including most of its H225s) from its fleet. Historically, offshore exploration and development activity increases when oil prices rise, but the forecast rebound in offshore drilling has failed to occur at the scale expected, even though energy companies need to replenish their hydrocarbon reserves. The continuing downturn has put a burden on helicopter operators and lessors saddled with high debt and idle aircraft, precipitating changes in ownership and senior management ranks. 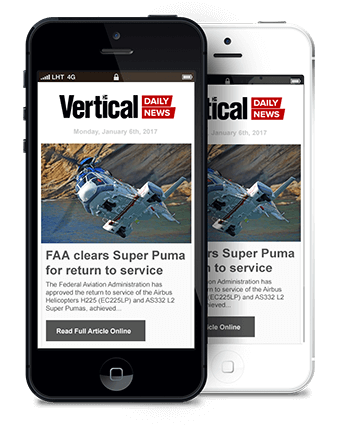 In November 2018, Waypoint Leasing ­– the world’s second largest helicopter lessor — itself entered Chapter 11, and was subsequently purchased by a unit of investment bank Macquarie Group for $650 million. “The market capitalization [of] PHI and Bristow . 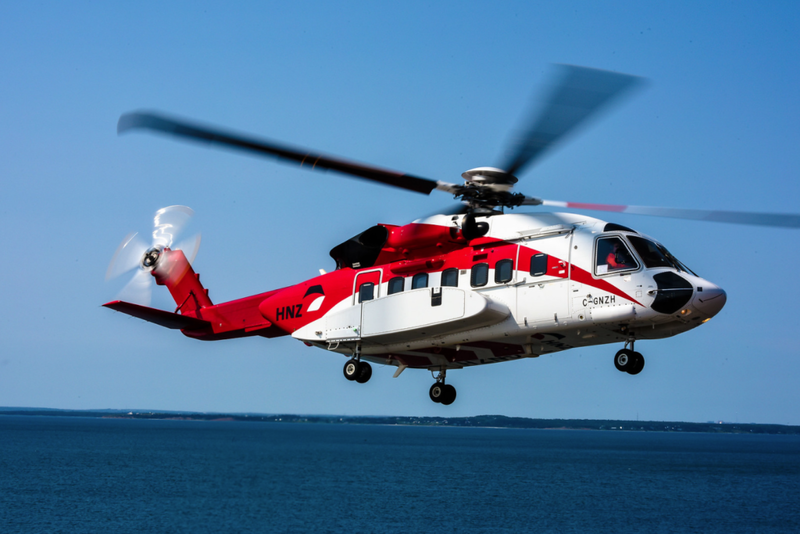 . . has now dropped to the list price of two and five Sikorsky S-92s, respectively, which is a huge challenge,” observed one senior helicopter industry executive. Looking ahead to 2019, it continues to be a challenging time for offshore oil-and-gas, but as a truly global industry, it has more than one story to tell. Even though offshore exploration budgets were at a 10-year low in 2018, there were major discoveries found offshore in Guyana, the U.S., Cyprus, and Norway. Baker Hughes reports that 260 jack-up rigs, semi-submersibles and drillships were actively drilling exploration or production wells in December 2018, which was an increase of 49 units from 211 rigs in December 2017. The fleet included 26 active drilling rigs in North America (an increase of six from 2017), 27 in Latin America (up one from 2017), 38 in Europe (up from 30 in 2017), 15 in Africa (five more than 2017), 56 in the Middle East (up 14 from 2017), and 98 rigs in Asia Pacific (up 15 from 2017). 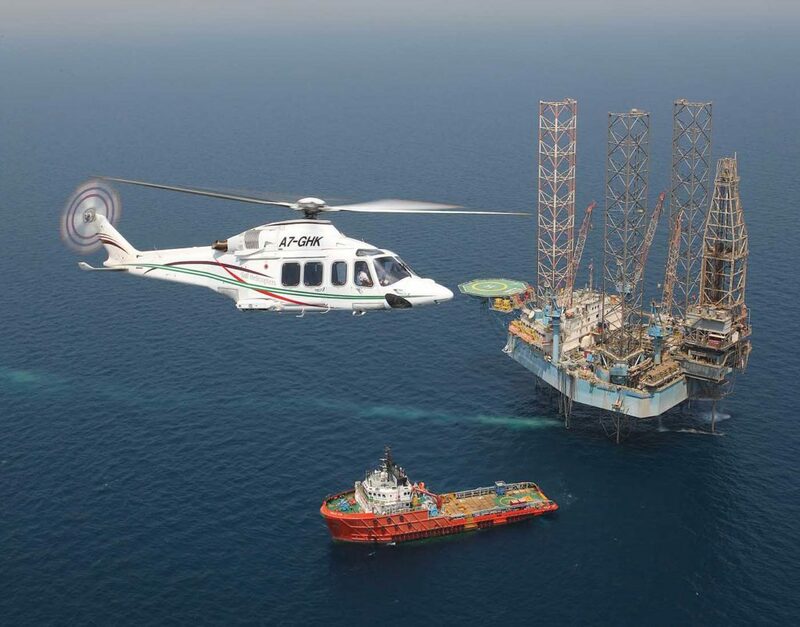 However, Westwood Energy consultancy says helicopter utilization rates remain a challenge at 68 percent and 63 percent for medium and large offshore helicopters respectively. The North Sea is the largest offshore market in the world for helicopter operators, with almost two million passengers a year flying offshore from about 16 bases in the U.K., the Netherlands, Denmark and Norway. About 25 percent of those passengers pass through Aberdeen International Airport. 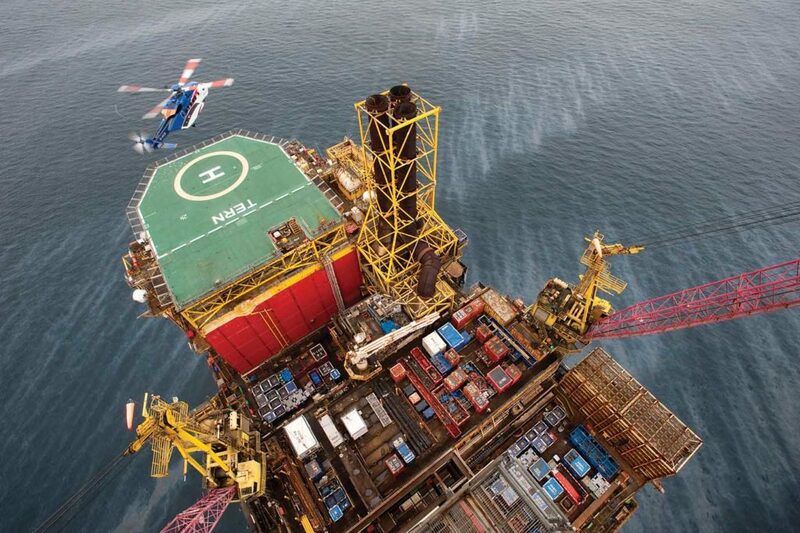 The North Sea is a very important source of revenue for three of the world’s largest helicopter consortiums: Bristow Group, CHC Group and Babcock Mission Critical Services. NHV Group of Belgium and Bel Air in Denmark are also important players in the region. The past five years has seen a lot of changes in crew change scheduling, market share and fleet utilization in the North Sea. A few years ago, major oil companies in the U.K. extended the rotation schedule for energy workers (from two weeks on and two weeks off, to three weeks on and three weeks off) as a cost cutting measure — trimming helicopter flights. The longer crew rotations have been vigorously opposed by the U.K. unions representing offshore workers, with Apache one of the first oil companies to pledge a return to a “two and two” schedule in early 2019. In 2015, CHC had the largest share of the Norwegian offshore market, and Bristow was stronger in the U.K., but these market shares have changed as major contracts have changed hands. The grounding of the H225 in May 2014 was followed by the type’s elimination from offshore crew change and many search-and-rescue (SAR) contracts in the North Sea. The S-92 picked up most of the initial slack, but the new technology super medium H175 and AW189 have also been able to replace larger aircraft on a very cost-efficient basis. For example, on Jan. 24, 2019, there were 37 different helicopters operating offshore from Aberdeen, including 27 S-92s, eight H175s, one AW189, and one AW139. The H175’s launch customer, NHV Group, now has a fleet of 11 H175s flying in the North Sea, which have collectively flown 30,000 hours — three quarters of the global H175 fleet total of 40,000 hours. PHI, Bristow, Era, Chevron, RLC, and a handful of independent operators dominate the offshore helicopter business in the Gulf of Mexico. The big four operators — PHI, Bristow, Era and Chevron — have all made major investments in onshore infrastructure in the region, including passenger terminals, hangars, and flight strips optimized for heavy helicopters. The Gulf of Mexico has been in transition for decades, as oil production from shallow water fields, easily served by light aircraft, has been replaced by deepwater oil discoveries located further offshore that require the payload and range of larger medium and heavy helicopters. In 2013, the Helicopter Safety Advisory Conference reported that there were 458 helicopters active in the Gulf, including 34 heavies. By 2017, the overall fleet had shrunk in number by 28 percent, but the number of heavy aircraft had grown to 43. Across the southern border in Mexico, international oil companies are drilling in deepwater never explored by Pemex, the national oil company. 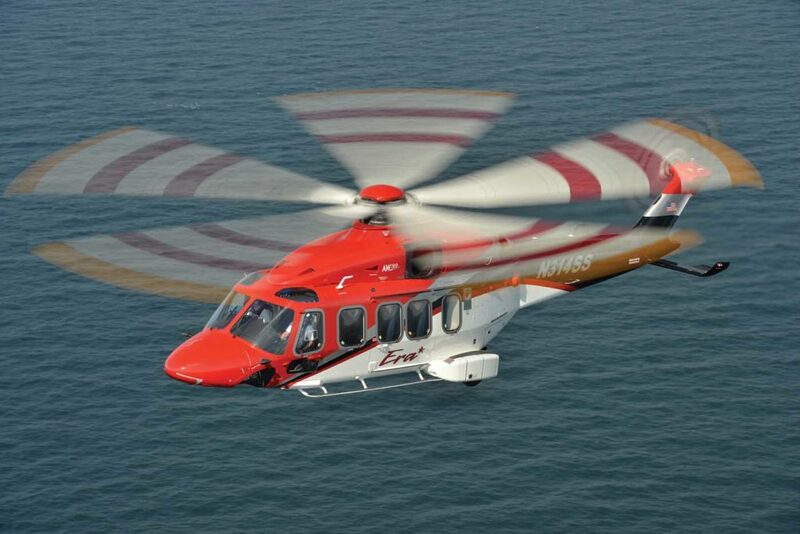 This has stimulated the introduction of the H175 at Pegaso, four AW139s at ASESA, and in late January 2019, it was revealed that an unnamed oil company would be using three PHI S-92s leased to ASESA to support deepwater exploration off Mexico. Up in Canada, there are four production facilities off the coast of Newfoundland and Labrador, and a fifth is on its way. Husky Energy’s C$1.6-billion West White Rose project, located 217 miles (350 kilometers) offshore, is scheduled to produce first oil in 2022. Last year, Equinor Canada (formerly Statoil) announced plans to develop the Bay du Nord oil project some 300 miles (500 kilometers) offshore, with first oil expected in 2025. This will be supported by some of the longest offshore flights in the world. Cougar Helicopters supports the Hibernia, Terra Nova, White Rose and Hebron activity with eight Sikorsky S-92s based in St. John’s, including a dedicated SAR aircraft. 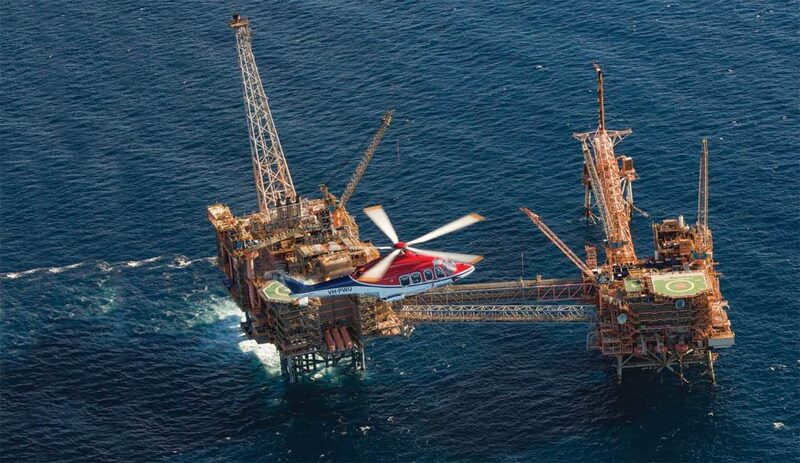 Meanwhile, Canadian Helicopters flies S-92s from Halifax, Nova Scotia, in support of the Sable Offshore Energy Project, operated by ExxonMobil, and Deep Panuke, operated by Encana Corporation. In 2018, Sikorsky obtained Transport Canada certification for the expanded gross weight (EGW) capability option for new S-92 helicopters. This increases the maximum takeoff weight from 26,500 to 27,700 pounds (12,020 to 12,565 kilograms), allowing operators to carry an additional 1,200 pounds (545 kilograms) of payload. In South America, deepwater exploration off Guyana has resulted in some exciting oil discoveries, and new gas fields have been found off Trinidad and Tobago. This has stimulated exploration interest in other Caribbean nations, and created new flying opportunities for companies like Bristow, which has operated offshore in the region for about 60 years and recently marked the milestone of 30,000 hours on Caribbean AW139 operations. Further south, offshore exploration off Brazil has slowed in recent years as a result of falling oil prices, a brake on development plans, and a major corruption crisis that hit the senior ranks of Petrobras, the national oil company. Five years ago, there were 154 helicopters flying to Brazil’s oil fields, including 122 on contract with Petrobras, 18 with international oil companies, and 14 aircraft operated by five companies flying ad hoc “spot charters” for service providers. Today, Brazil’s active offshore fleet likely numbers less than 100 helicopters. Omni Táxi Aéreo Ltda now has the largest market share, with smaller fleets flown by Lider TáxiAéreo S/A (partnered with Bristow Group), Brazilian Helicopter Services Táxi Aéreo Ltda (affiliated with CHC Group), and Aeróleo Táxi Aéreo S/A (partnered with Era Helicopters). The biggest gains have been made by the AW139, which has displaced a large number of H225s and S-92s, since many of these large aircraft were employed for their passenger capacity at slot restricted airports rather than for their range capability. In 2017, Aeróleo introduced the first AW189 for offshore use to the country. 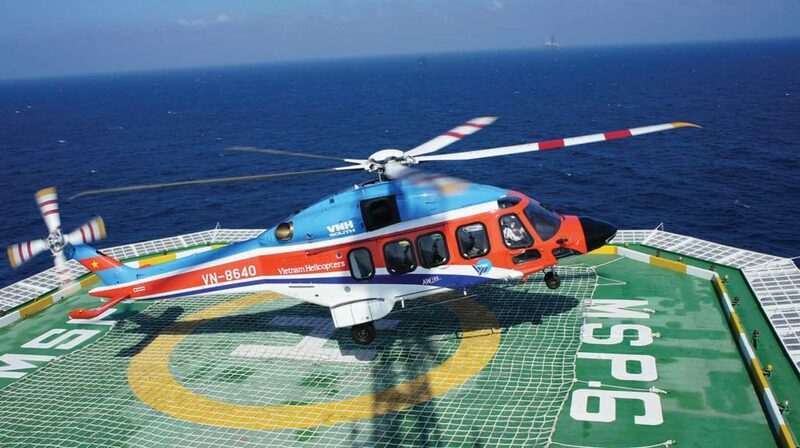 Development of the offshore sector laid the foundation for China’s civil helicopter renaissance. China needed oil to power its economy, and the western oil industry had the money and technology to find new energy reserves off the country’s coastline. The China National Offshore Oil Company (CNOOC) was formed in 1980 to develop the offshore oil industry, and it acquired Bell 212s and Airbus AS365N Dauphins in 1980 to support offshore drilling. Today, three companies own a fleet of about 90 turbine helicopters, with about 60 primarily used to fly to drilling and production platforms off China’s lengthy coast: CITIC Offshore Helicopter Company Ltd (COHC); China Southern Airline’s Zhuhai Helicopter Company (ZHC), based in Zhuhai; and China Eastern General Aviation Company (EGAC), based in Tianjin. Most offshore drilling and development is focused in Bohai Bay off the northeast coast, East China Sea off Zhejiang province, the South China Sea in the Pearl River Basin off Hong Kong and Guangzhou province, and in the southeast off Zhanjiang and Hainan Island. COHC, founded in 1983, is the largest offshore operator in China with a fleet of about 57 helicopters, including eight for onshore business (one Kamov Ka-32, two Harbin Z-9s, two Harbin Z-11s and three AS350 B3s) and 49 for offshore (two Leonardo AW109SP Grand News, four Airbus AS365Ns, 15 H155s, seven AS332 L1/L2s, nine EC225s and three S-92s). Headquartered at Shenzhen – Nantou heliport (ZGNT) in Guangdong province, COHC has regional bases in Sanya, Hainan province, Zhanjiang, Guangdong province, Dachang airbase in Shanghai and Tangu airport in Tianjin. ZHC was established as Guangzho Helicopter Company in 1976, and today has a fleet of about 22 aircraft, consisting of 13 S-76s and nine S-92s. ZHC is Sikorsky’s largest civil operator in Asia. In addition to Zhuhai Jiuzhou heliport, ZHC has bases in Xingcheng, Liaoning province, Sanya, Hainan province, and Zhanjiang, Guangdong province. EGAC is a subsidiary of China Eastern Airlines, China’s second largest airline. The helicopter division started flying Bell 212s to the Bohai Sea offshore fields in the early 1970s. EGAC’s helicopter fleet includes two Bell 212s, eight S-76s (S-76A, S-76A++ and S-76C++), one S-92 and three Schweizer S-300CBis for flight training. The offshore aircraft are based at Tanggu airport, Tianjin, and Penglai, Shandong, to serve different platforms in the Bohai Sea. The discovery of large gas fields in the Eastern Mediterranean has stimulated offshore flying off Israel, Cyprus and Egypt. In 2016, Lahak Aviation of Israel took delivery of two S-76C++ from PHI to replace Bell 412s supporting development of the massive Tamar and Leviathan gas fields some 50 and 80 miles (80 and 130 kilometers), respectively, west of Haifa. 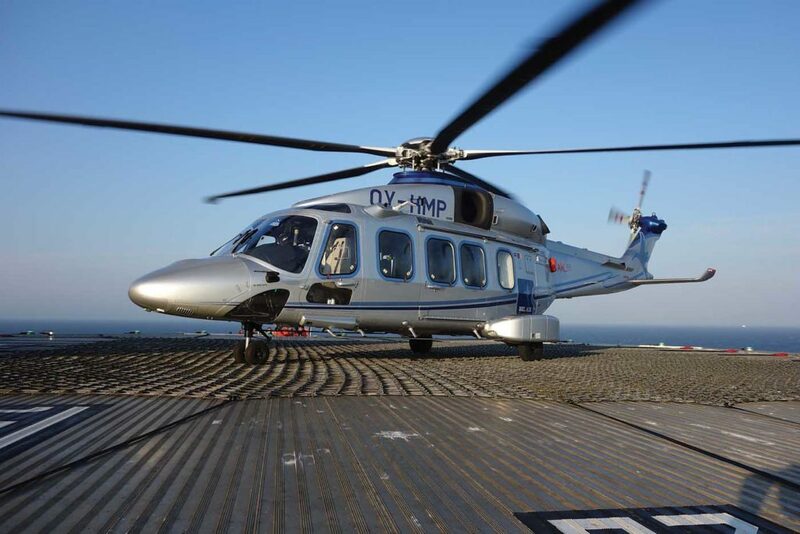 Off Cyprus, AW139s flown by PHI’s HNZ Group and Babcock have been supporting exploration and the development of the Aphrodite gas field, 21 miles (35 kilometers) west of Israel’s Leviathan gas field. The Italian firm Eni discovered the massive Zohr gas field off Egypt in 2015. Petroleum Air Services (25 percent owned by Bristow) operates 41 helicopters and has five bases on the Mediterranean coast supporting oil-and-gas customers primarily with Bell 412s, EC135s and AW139s. Turkey launched its first ever well-drilling operations in the Mediterranean in late October 2018 following the launch of its first drillship. A consortium of France’s Total, Italy’s Eni and Russia’s Novatek are also expected to drill Lebanon’s first offshore oil-and-gas reserves in 2019, utilizing two helicopters based at Beirut Airport. To the east, Falcon Aviation Services commenced a five-year contract in December 2018, flying three new Leonardo AW169s offshore for the Kuwait Oil Company. To the west, offshore drilling off Libya is now supported by Gulf Helicopters’ AW189s based in Luqa, Malta. The largest energy exporters in Sub-Sahara Africa have historically been Nigeria and Angola. Exploration along the Atlantic Margin of Africa from Morocco to Namibia has recently resulted in numerous deepwater oil-and-gas discoveries, with the Jubilee field of Ghana hailed as the fastest ever deepwater development, taking just 24 months from development to production. in 1969 and maintains six bases. It competes against Caverton Helicopters, which in mid-2018 acquired 12 new Bell 407 GXPs and Bell 412 EPs to boost its offshore fleet in Nigeria. Angola has the second largest offshore fleet in the region. In 2018, Heli-Union consolidated its position in Angola by partnering with Bestfly, a local aviation services company. Bestfly made its first offshore AW139 flight in November 2018. Heli-Union also flies offshore from Gabon and Cameroon. 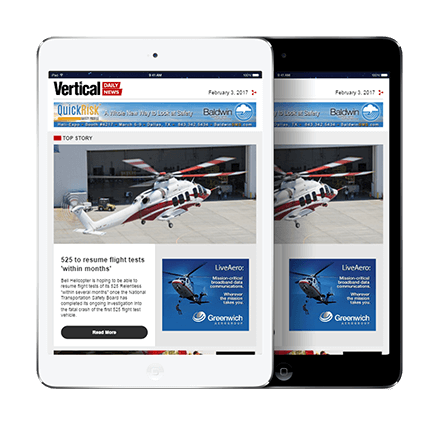 Heliconia is an up-and-coming offshore operator flying AW139s off Morocco. Belgium-based operator NHV previously operated two H175s — the first in Africa — in Ghana for Tullow Oil, and is now flying two H155s for Australian-owned FAR from Banjul, Gambia. The Titan Helicopter Group of South Africa and subsidiary Indwe Aviation fly offshore in several nations, including Namibia, where its AW139s support six offshore vessels dredging for diamonds 400 feet below the surface on the seafloor. In 2010 and 2011, Anadarko and Eni made a series of massive gas discoveries off Mozambique, and the country is on track to become the fourth-largest liquid natural gas exporter. Australia has the largest offshore helicopter market in the Asia-Pacific region with a fleet of about 85 helicopters (including idle H225s) from numerous bases. The major offshore regions in Australia are located off the coasts of the states of Western Australia (North West Shelf, and Carnarvon and Browse basins), the Northern Territory and Victoria (the Bass Strait). In 2016, ESSO began replacing six S-76C helicopters supporting its 23 offshore installations in the Bass Strait with four AW139s. These fly 300 workers offshore a week from a heliport at Longford near Sale, 136 miles (220 kilometers) east of Melbourne. The Carnarvon basin and the Bonaparte basin off the coast of northwestern Australia remain the busiest areas for overall oil drilling activity in Australia, and the North West Shelf Project in the Carnarvon Basin is also one of the world’s largest liquefied natural gas projects. Frontier oil exploration is taking place in the deep waters of the Timor Sea off the Northern Territory. Bristow Helicopters Australia maintains three bases in Western Australia, one in Victoria, and one in the Northern Territory. CHC has its main offshore bases in Broome and Karratha, Western Australia. It introduced the first S-92s offshore in Australia in 2006. 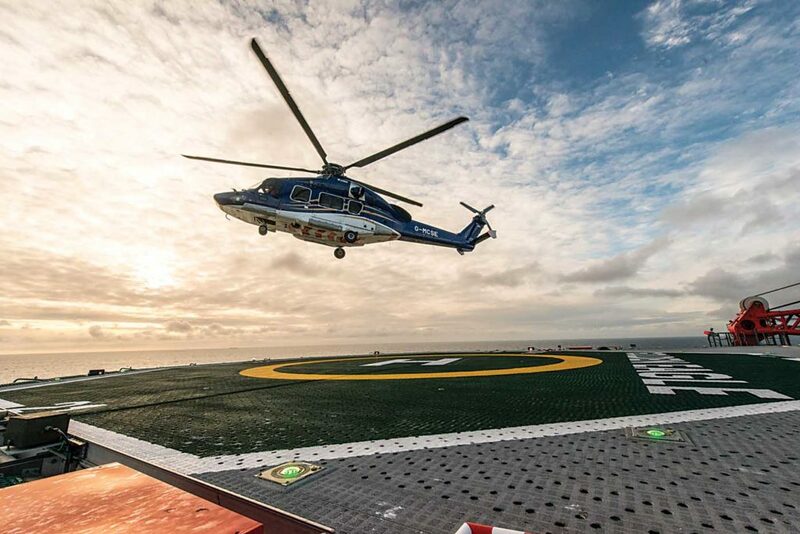 CHC also introduced the first super medium helicopters in Australia, when three 16-passenger AW189s commenced service from Karratha in November 2017 supporting Woodside’s operations on the North West Shelf. Babcock International took delivery of two H175s at a ceremony in Darwin, Australia, in late 2017, to transport personnel and provide search-and-rescue and medevac support to frontier drilling in the Timor Sea. The helicopters are based in Dili, Timor Leste, which is 300 miles (500 kilometers) northwest of Darwin. On April 3, 2017, PHI HNZ Australia PTY Limited performed its first S-92 flight from Broome, Western Australia, for the Inpex-led Ichthys LNG Project that would employ five S-92s, including a dedicated SAR aircraft. PHI, Inc. subsequently bought all of HNZ’s offshore business conducted in New Zealand, Australia, the Philippines and Papua New Guinea in early 2018. The last 12 months have certainly been a transitional period for the offshore transport industry, and while the turbulence in the sector is likely to continue for a while yet, a measure of stability has at least begun to return to the industry in many parts of the world. However, the continued spread of exploration into new regions and waters around the world, and dramatic changes at the companies that have dominated the sector for so long, mean that the offshore landscape may look very different in the future.